Psychiatrist Viktor Frankl’s memoir of life in Nazi death camps has riveted generations of readers. Based on Frankl’s own experience and the stories of his patients, the book argues that we cannot avoid suffering but we can choose how to cope with it, find meaning in it, and move forward. 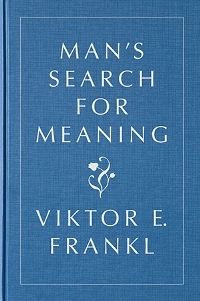 Man’s Search for Meaning has become one of the most influential books of our times, selling over twelve million copies worldwide. With a foreword by Harold S. Kushner, Frankl’s classic is presented here in an elegant new edition with endpapers, supplementary photographs, and several of Frankl’s previously unpublished letters, speeches, and essays..